Comment: Our property abuts the road and we currently have a small stone wall that borders the property on that side. We are looking to put a fence up for more privacy. Comment: Looking for a perimeter fence. The property is about a half acre. A portion of the fence will be roadside, hoping to minimize the sounds of traffic. The landscape is rocky and somewhat uneven. Comment: I would like to get an estimate for I have iron fencing that is rusting and I'd like to replace it with aluminum. One of the projects includes Juliette balcony rails on the second floor and also rails at windows on second and third floors. The second project is about 90' of linear fencing with a gate or stainless steel posts w/cable fencing. Comment: I have a wooden fence which I would like to replace with PVC fence. Put the wooden fence in my back yard. Comment: Would like to have a fence installed in my backyard. I am looking to get a quote. 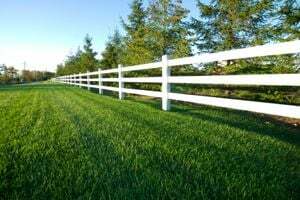 Gloucester Fence Contractors are rated 4.69 out of 5 based on 317 reviews of 8 pros. Not Looking for Fences Contractors in Gloucester, MA?